Asia is considered one of the seven continents. This continental definition, however, is far broader than many people think. Under the seven continent methodology, Asia stretches from Japan in the East through Russia in the West. It encompasses Saudi Arabia and everything above Asia. While it doesn’t always make practical sense, there is no denying this definition of Asia makes it the home of over 60 percent [4 billion] of all humans. China and India, of course, are the locations of a vast majority of these people. In modern times, geographers recognize there really is no dividing line between Asia to the west and Europe to the East. This has resulted in the entire area being called Eurasia, but thousands of years of terminology aren’t about to pass into antiquity. 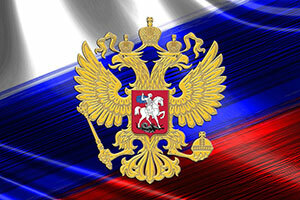 Today, most people refer to Europe as a continent so far as it extends to the Ural Mountains in Russia. Everything to the east of that mountain range is considered Asia. For instance, Israel is considered a country in Western Asia! 1. East Asia – China, Japan, Mongolia, Taiwan, North and South Korea. 3. 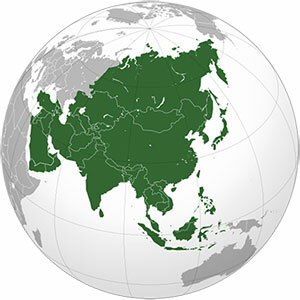 India Subcontinent – India, Afghanistan, Bangladesh, Bhutan, Maldives, Nepal, Pakistan, Sri Lanka. 5. Southwest Asia – The Middle East including Turkey, Iran, Cyprus, Israel, Lebanon and sometimes Egypt. Given the problems defining the boundaries of Asia, you can imagine it is also difficult to define certain characteristics regarding the continent. After all, life in Turkey is much different than in China. Conversely, customs in India are completely different than those in China. In fact, most people living in Asia take offense when someone uses the word “Asians” to refer to them. The word implies a similarity among all people in Asia, which simply isn’t true. Economically, things are a bit easier to categorize. The largest economy in Asia is China as a measure of gross domestic product. Officially known as the People’s Republic of China, this country remains communist in name only when it comes to economic issues. With massive economic growth over the last 10 years, China is the second largest economy in the world after the United States. Another heavily populated area, India, is now the fourth biggest economy in the world, while relatively small Japan is the third. Put in practical terms, Asia is home to three of the four biggest economies on Earth. The three dominant financial centers are Hong Kong, Tokyo and Singapore. Figuring out exactly what constitutes Asia is largely a matter of opinion. Among many assertions about Asia, the undisputed one is it is the home to the largest percentage of humans on the planet.